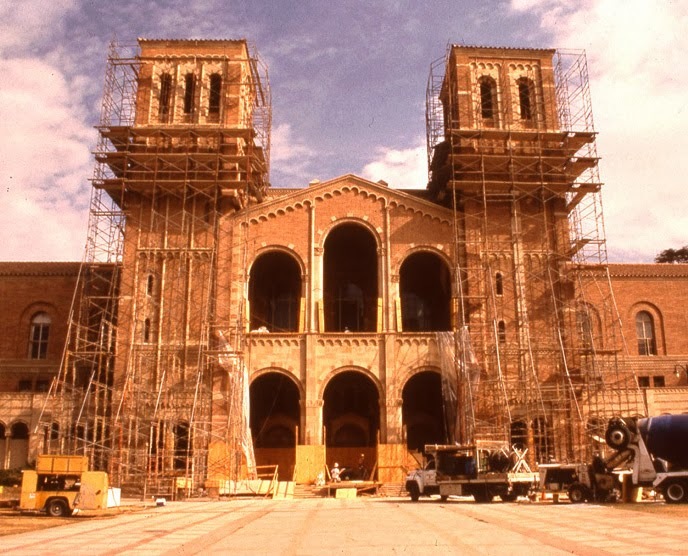 The 20th anniversary of the Northridge earthquake will be arriving this coming Friday. 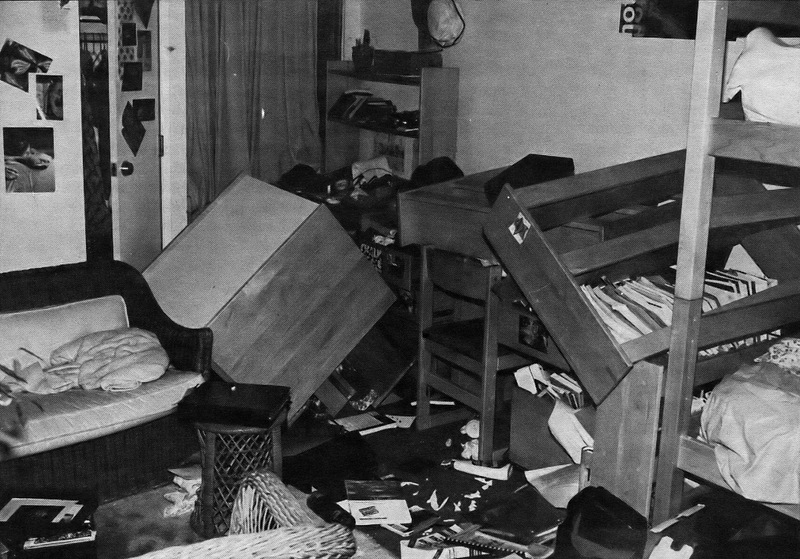 These photos appear in the volume “UCLA: The First Century” and show damage to a dorm room (top) and post-quake repairs to Royce Hall (bottom). Royce was closed for an extended period after the quake while repairs were made.